I can’t wipe this grin off my face. Remember that job I’ve been alluding to and that I’ve been working towards the past few months? I got it! 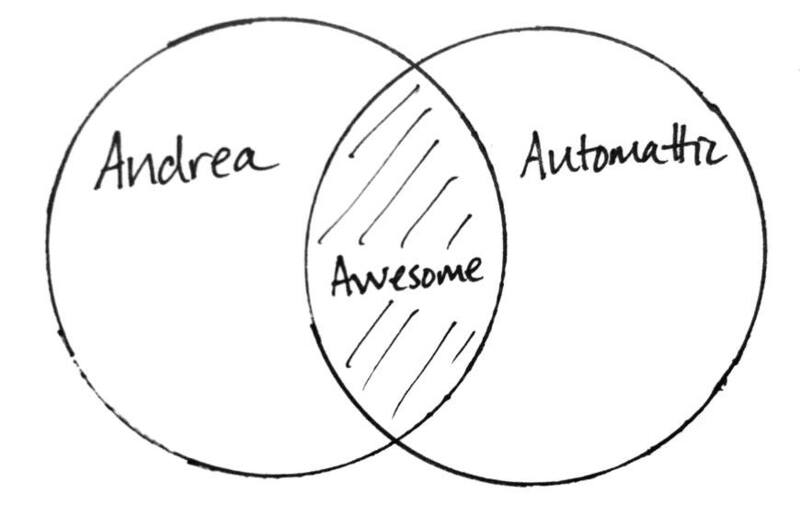 And oh yeah, Automattic is the company behind WordPress.com. I am now an ecstatic and enormously proud member of a working family whose passion I share: to democratize publishing. 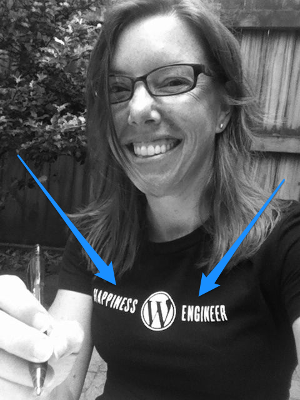 In my role as a Happiness Engineer I will work my heart out to help WordPress.com users in their quest to put their work out into the world – their photography, writing, podcasts, videos; their wedding pages, book blogs, portfolios, caregiver stories; their poetry, band pages, musings, and travelogues. I’ll be there for all of them, and all of you. I haven’t really absorbed yet that this is real. I’ve been a stay-at-home mom for 10 years, and throughout those years I have struggled with the tension inherent in wanting to be home with our children but also craving the stimulus of work that challenged my mind. Now I will have both. And it doesn’t hurt that I get to work with all these smart, funny people either. I feel like the luckiest woman alive. I also feel like I want to give an Oscars style thank you speech. So first, I’d like to thank Cheri Lucas Rowlands who Freshly Pressed one of my early blog posts, and in so doing, introduced me to the world of possibilities within the WordPress.com community. Through Cheri’s work I later came to know others on the editorial staff, and I’d like to thank Krista Stevens, Ben Huberman, and Michelle Weber for engaging so much with me and the rest of the WP.com community, for inviting me to guest host a Daily Post writing challenge, and for sending me a care package with a copy of Scott Berkun’s The Year Without Pants and the Happiness Engineer tee shirt you see in the photo above. Those gifts and all of my interactions with editorial made me say, holy crap, I want to work with this company. I’d also like to thank Deborah Beckett and Evan Zimmerman who took the time to talk with me at WordCamp Asheville about their experiences as Happiness Engineers with Automattic; all of the hilarious and super smart Automatticians who trained, supported, and helped me throughout my trial; and CEO Matt Mullenweg who I had the pleasure of chatting with as the final step in my hire, and who is kind, respectful, and like, the nicest guy ever. P.S. – If you need help with your WordPress.com site, check out our support pages and Learn WordPress.com. Lots of great info there. Originally published on Butterfly Mind, September 2014.